Remember when advertising was marketing? That in order to generate leads and profits, outbound was the only way to let your audience know what you do and how you do it? Well, the world of marketing has evolved substantially. Inbound strategies are now the foundation of most marketing and involve attracting ideal leads. At the heart of inbound marketing is content, and content marketing is how you tell your audience the story of why they need what you have. Just to be clear, content marketing is not traditional advertising in any way. Ads are not content. Content isn’t an ad. Content marketing at its foundation is accessible, informational, friendly and helpful. It focuses on the challenges and needs of your audience and how they can be addressed without overly promoting your specific solutions. So, content marketing is really on another planet than paid advertising, yet most big brands still do both. Certainly, industries that focus on consumer goods or products should have the chance to promote their wares through print ads, digital ads and broadcast. But how can these two very different disciplines coexist? Research is now beginning to reflect that content marketing has stronger ROI (return on investment) and impact on KPIs (key performance indicators). While there is much data to support the value of content marketing, brands are still spending a significant amount on digital, broadcast and print advertising. Broadcast had long been the leader in total spend, but digital marketing has actually risen to the top. If brands are going to use both then they need to align. And, thankfully, it’s not impossible. Start with a content plan first then highlight products that support the themes and ideas expressed in blogs, eBooks, whitepapers, infographics, videos and many other formats. However, many brands that sell products versus services approach things from a product marketing perspective, wherein launches and rollouts dictate the schedule. It’s never going to be an exact perfect balance of what comes first. If the paid advertising schedule is already in place with products showcased based on launches, promotions and sales, then content marketing must be flexible. 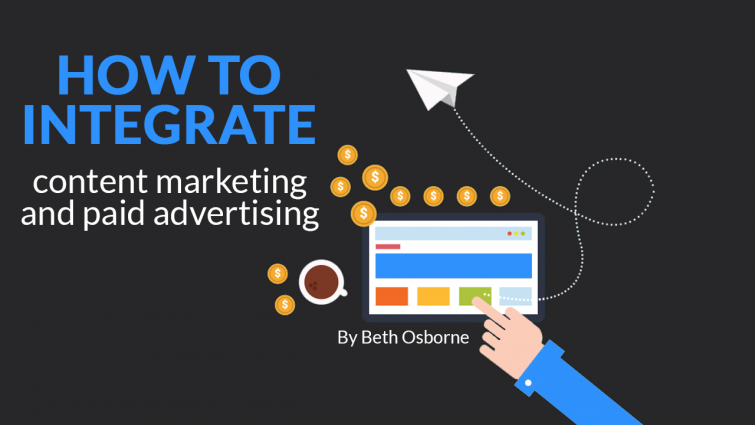 Here’s the process you can take to integrate paid advertising and content marketing. 1 – For each month, review the products that will be promoted via paid ads. What do these products have in common? What is an overarching story to tell about these products? 2 – Start mapping out content by buyer persona and match that to product promotion. Let’s say, your brand has three target buyer personas and it advertises in three different print or online publications that are geared toward that audience. What within that product is meaningful to each buyer persona? Does one focus more on quality and durability? Does another find price the most important element? Do that for each product; be specific as to why this buyer may need this product, what are his challenges and what are his barriers. 3 – Develop content aligned with what you determine. If buyer persona A is most concerned about multiple options at a low price then write a blog about how your product answers this question. Except don’t use your products name because in content marketing you’re pushing a solution, not a product. This idea complements the paid idea while remaining truly informational content. Ending the blog with a call to action to view the features of the software or to watch a testimonial video from another user keeps your prospect engaged and moving through the funnel. 4 – Measure the marketing content reach, engagement and leads in addition to the click-throughs from the website banner ad. See if there are any synergies. As an additional test, you could promote the blog post via the banner ad and track to see if users preferred useful content over a product feature ad. Retaining this data will help you properly align resources and money for content marketing versus advertising. By aligning all aspects of your marketing, you can have a clearer view on what’s working and what’s not. If your highest referrer to your site is a social media post with original content then that’s a great indication you are connecting with your audience. Don’t forget that social media and email marketing should complement your efforts in paid and content marketing. When all channels and tactics are integrated, you’re more likely to see quality leads and genuine engagement, which is, of course, the true end goal of any marketing strategy. Beth is a professional writer, blogger and content marketer. When not writing for work or fun, she enjoys travelling the world with her husband and spending quality time with her two pups and cat.